Fill in all swimmers details, do not worry about the dates mentioned. Give a small description about swimmer current swimming level and in which venue you like to the lessons. HPSC will contact you to book your course. I do not know the swimming level of my child ? What should I do ? New beginners and those who are happy in the water can enter our level 1 and 2 classes straight away. Those who already can swim 10 meters can enter level 3. Those who can swim more then that and/or had swimming lessons before will be invited to a FREE level assessment. Have your child ready to swim in appropriate swim wear and goggles 5 minutes before the assessment. At the start of the assessment your child will be asked to sit down by the pool side and be ready for the assessment. Parents are requested to keep away from the side of the pool at this time to allow the teachers to conduct the assessment. Once your child has been assessed the teacher will inform you about the swimming level your child should attend. How do I pay the fees ? The fees to pay for your child’s first swimming lesson until the end of term . Fees need to be paid to our administrator, by card or cash ,who will be at the poolside at the first swimming lesson or you can make a bank transfer. Click HERE to find our bank details. Your child’s place is confirmed when the full fee has been paid. Please read our CODE OF CONDUCT . By agreeing to a program with the High performance Swimming company you agree to the terms and conditions laid out in this page. 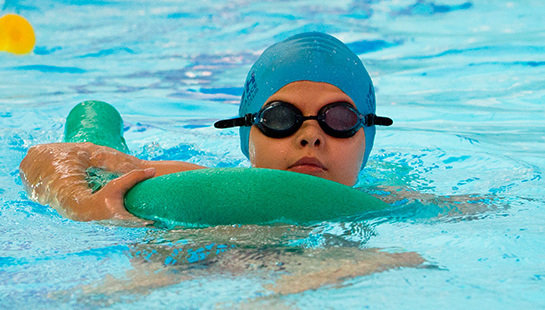 We look forward to see your child in one of our swimming courses.